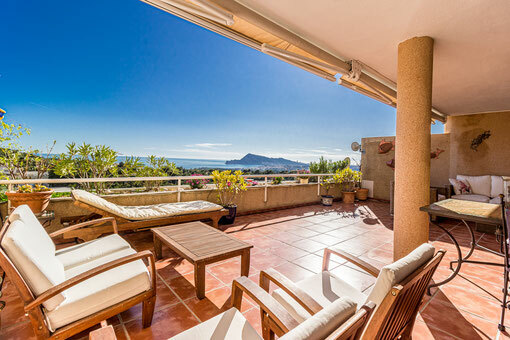 10) Apartment Don Cayo golf - A spatial apartment with big terrace (from 2 till 4 persons) - Rent,a,House,Spain, holiday, bookings, Altea,La Vella,, Albir, Calp(e), Moraira, Javea, Benidorm, Alfaz del Pi, La Nucia, Alicante, Valencia. 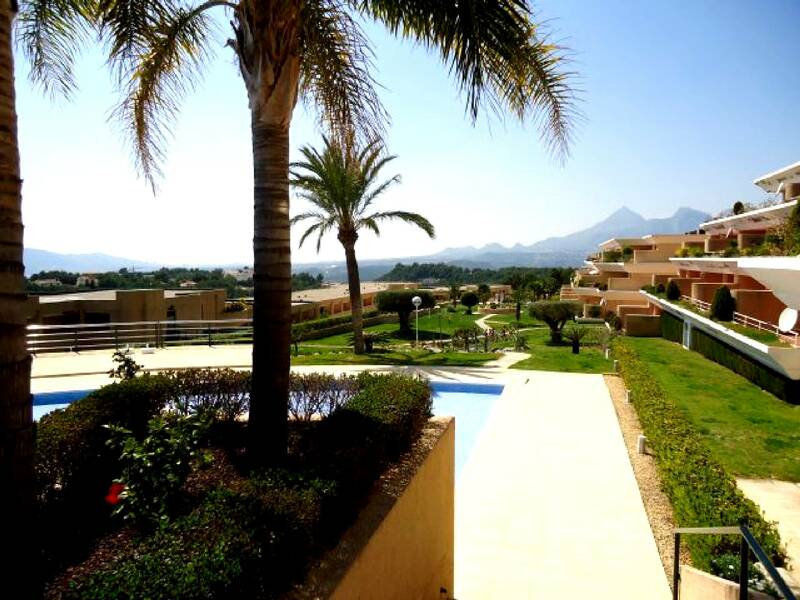 REF: 110.A big Apartment with 2 double bedrooms, two bathrooms, living room and tremendous 40 square meter terrace with tremendous view, two swimming pools, lifeguard, fast WiFi internet, complete privacy and all luxuries you can wish for. Located just above the Don Cayo golf course in Altea(la Vella) with sea and mountain view in one of the most prestigious parts of Spain. Close to golf, tennis, beach, town, hiking, harbour, water sports, amusement parks and many more. From here you drive in no time to towns like : Moraira, Javea, Calpe, Benidorm, Albir. 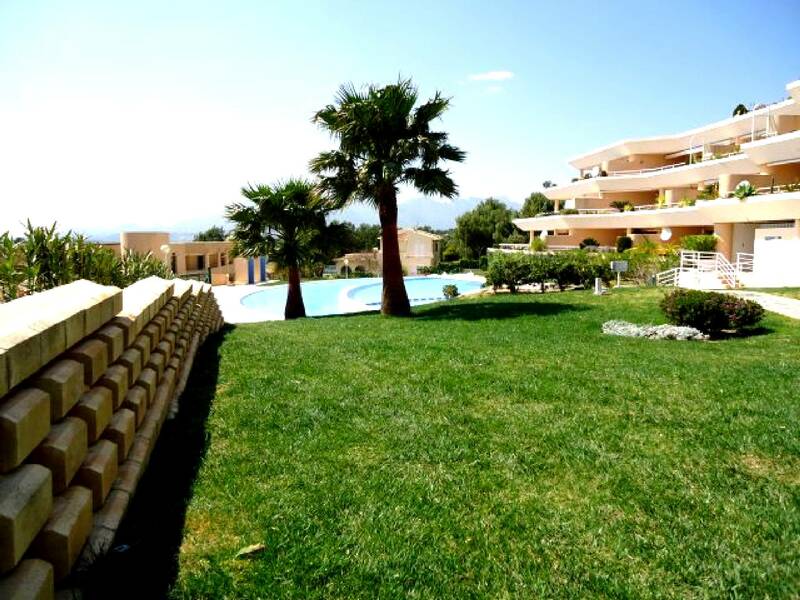 From 1-April till 30 April 400 Euro per week excluding electricity. From 1-May till 31 May 500 Euro per week including electricity. From 1-June till 30 June 600 Euro per week including electricity. From 1-July till -31 August 750 Euro per week including electricity. 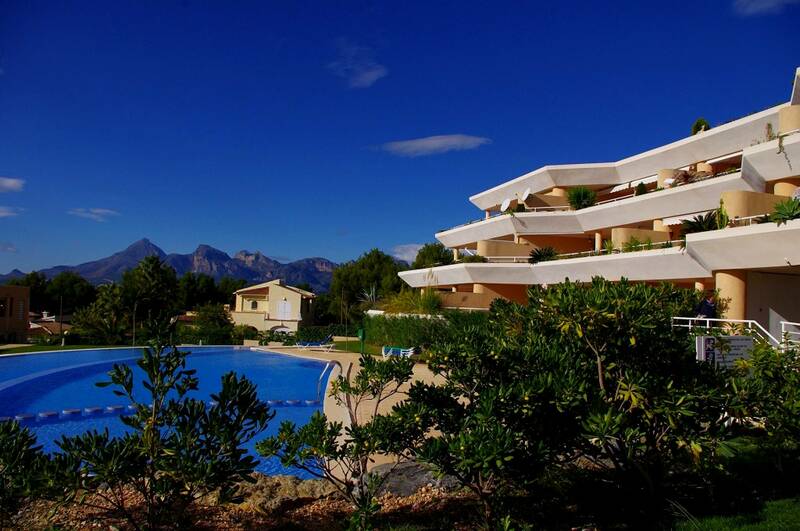 From 1 September - 30 September 600 Euro per week including electricity. From 1 October till-31 October 500 Euro per week excluding electricity. Ask for special winter month prices starting from 1200. From May till October included 125 KwH electricity a week.